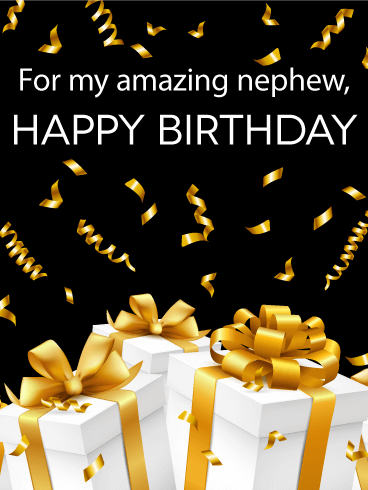 Your nephew is turning another year older, and there's no more exciting time. 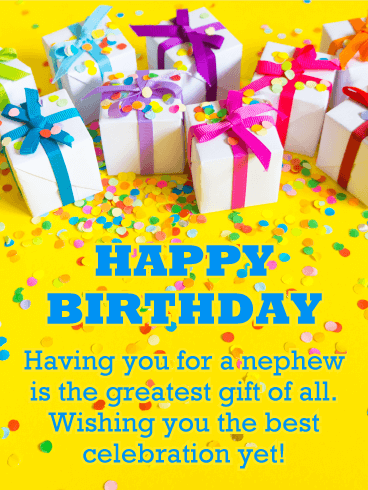 While he reflects on the importance of this day, your thoughtful words in this fun & festive birthday card will remind him that the best surprises are still to come in the year ahead. 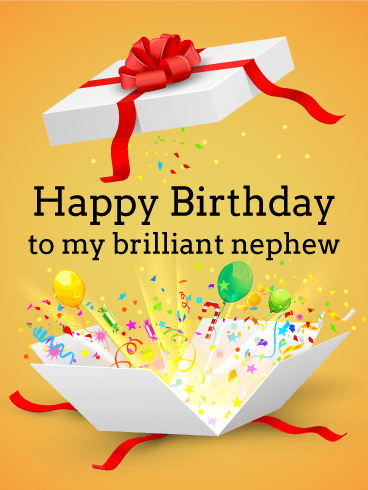 A fun, party-filled birthday card for your special nephew who loves to have a good time. 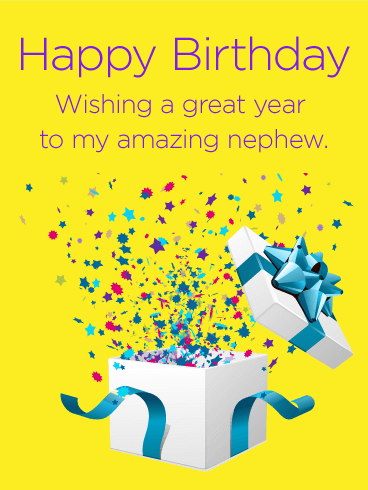 The birthday card implies celebration, smiles, and fun - everything your nephew dreams about on their special day. 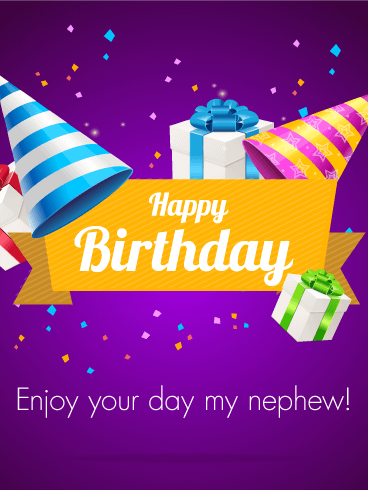 Get him this birthday card today and celebrate his special day!